Are you fed up with all the false promises from your hair care treatments? Perhaps you have switched from one product to another and yet landed up square one as far your hair loss goes. A number of reasons can be attributed to male hair loss, the predominant factor being male patterned baldness which is generally inherited from either parent. This type of hair loss is marked by a thin receding hair line at the crown of the head. 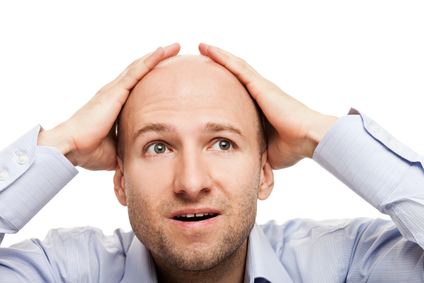 Alopecia is another form of male hair loss where hair falls in patches causing a bald scalp. Adults and even children are prone to this type of hair loss. Some medical conditions and also tight braiding and pulling of hair can cause hair loss. Whatever the reason be, hair loss and baldness can get depressing and lead to low self-esteem. You no longer need to worry because there is now a one stop solution for male hair loss in the form of Hair pep for men. It contains a powerful DHT inhibitor which is a clinically proven ingredient in fighting hair loss. Hair Pep for men contains more natural and herbal ingredients when compared to other hair loss treatments. Hair- pep promotes hair growth by blocking androgen receptors and reducing the 5-Alpha reductase which stimulates DHT production. Hair-pep has no regular side effects: it is applied only to the scalp and hence has no or minimal contra indications, when it does the job of reducing DHT. In some men when DHT inhibitors are taken as an internal drug it can cause loss of libido. Hair loss is quickly reverted with Hair pep because its active ingredients penetrate into the scalp and prohibits DHT growth. Soon you can see visible results in the form of sprouting hair growth. Hair pep also contains active minerals, amino acids and antioxidants that stimulate the scalp and hair follicles because it uses advanced transpep nutrient delivery system. You no longer need to worry about male hair loss and the psychological implications it can have. Your work front is now safe and you can soon start meeting you friends and colleagues with confidence by using Hair-Pep. Yes, hair restoration is possible with hair pep and it is a sustained solution which will tackle all aspects of male hair loss. The product has had highly rated reviews by its users. The testimonials speak for the potency of Hair pep in treating male hair loss. Hair _pep has been scientifically prepared choosing the best herbal ingredients by pep cosmeceuticals who are big players for hair and Skin treatment. So confident are we at the house of Hair -Pep that we you give you a full money back guarantee if the product is not up to your expectations. Hair pep products are dermatologically tested in an exhaustive manner. They are hypo allergic and suit all types of skin. With prolonged application you will soon begin to notice changes in male hair loss. We are confident that you will have no itching are allergies on the scalp. Hair pep has been tested for use for many conditions like hair loss due to stress, thyroid imbalances, anaemia, etc. Male hair loss in these cases has been completely reverted after treating the physical symptoms and complementing it with scalp treatment using Hair –Pep. For best results with Hair-pep you must also balance hair pep treatment by taking care of your hair and keeping it clean. Use a good shampoo and conditioner and always dry hair with cool medium air. Avoid pulling or straining hair. If you apply hair pep daily you will definitely see positive signs of hair growth. Hair-pep can be ordered online and they are shipped in two days. International orders may take three to five days. You can return the product if it comes in open condtion or if it is a wrong order. Once you place an order you can track it online. You can also make use of the gift certificate scheme. All major credit cards are accepted. Hence from the comfort of your home now comes a solution for all male hair loss problems .No more expensive bills and long hours of waiting at the dermatologists. With Hair-pep you can be sure of using a safe product that gives you the results you are looking for.